Natural water resistance of the lithium complex thickener, combined with the additional tackiness additive, prevents water washout. 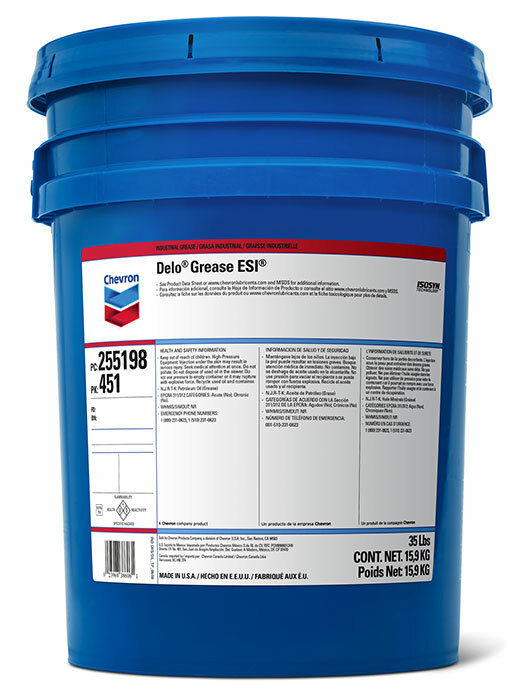 Delo Grease ESI is a technically advanced, extended service premium grease for a wide variety of on-highway and light duty off-road applications.It is formulated with highly refined base stocks, a lithium complex thickener, rust and oxidation inhibitors, and extreme pressure and tackiness additives. Delo Grease ESI is red in color with a tacky texture, and is an NLGI 2 consistency grade.